Underwoods Electrical have recently installed new garden lighting for a home in Newtown, Tisbury. Please contact us today for all electrical services and repairs. Underwoods Electricals have recently replaced 2amp sockets with 5amp sockets for a home in Donhead St Mary, Wiltshire. Underwoods Electricals have recently repaired some office lights for a business in Tisbury. If you’re a business in the catchment area of Underwoods Electricals and need any type of electrics serviced or repaired, please contact Underwoods Electricals today on 01747 870423. There is no job too big or too small for Underwoods Electricians. Underwoods Electricals have recently investigated and repaired an electric boiler in a property in Tisbury Wiltshire. Please contact us today for all your boiler repairs. Underwoods Electricals specialise in all types of Electrical services. 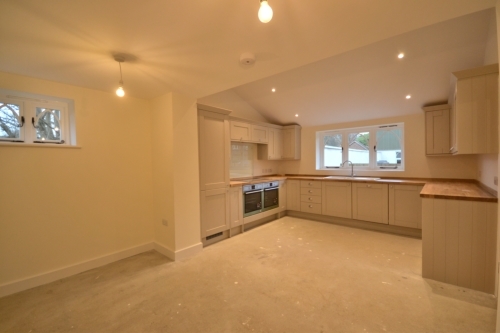 They have recently wired new electrics for a kitchen in a home in Teffont Evias, Wiltshire. If you are renovating a property or building a new home, please contact Underwoods Electrical on 01747 870423 for all your Electrican needs. Underwoods Electricals in Tisbury have recently wired a new socket circuit in a living room for a home in Shaftesbury, Dorset. Please contact Underwoods Electrical today for all types of electrical services. Underwoods Electricians have recently replaced a security light for a property in Ebbesbourne Wake, Wiltshire. For your electrical needs, please contact Underwoods Electrical today! Underwoods Electrical have recently replaced some faulty fluorescent lighting in a garage for a business in Wardour. 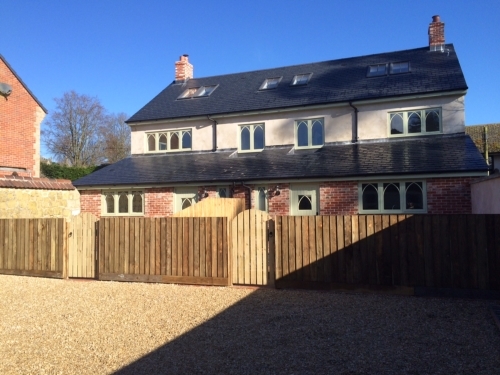 Underwoods have recently attended two properties in Tisbury, Wiltshire and applied 1st fix of electricals. First fix comprises all the work needed to take a building from foundation to putting plaster on the internal walls. From an electricians point of view, this includes inserting cables for electrical supply. The second fix comprises all the work after the plastering to a finished house. Underwoods Electricals have recently visited a home in Stockton, Wiltshire to install a 13amp double socket and BT point to a computer cupboard. Underwoods Electricians in Tisbury have recently installed an oil filled radiator in a home in Swallowcliffe. Please contact Underwoods today for all your electrical services. Underwoods have recently attended a home in Brixton Deverill to check a boiler installation and to install a bond wire to the oil mains. Underwoods electricians have recently made repairs to some low voltage lights in a home in Tisbury, Wiltshire. Please contact Underwoods Electricals today for all electrical enquies. Underwoods Electricians have recently made repairs to some office lights in Tisbury, Wiltshire. Underwoods Electricals work with commercial businesses for all electrical requirements. Please contact us today to discuss your electrical needs. 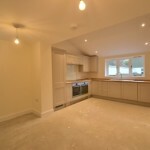 Underwoods Electricians have recently carried out electrical work at a home in Charlton, Shaftesbury Dorset. 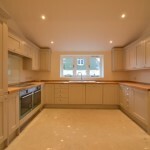 The work was to install new light fittings for a domestic kitchen. If you need an electrician to carry out any electrical work, please contact Underwoods today on 01747 870423. Underwoods Electricans have recently wired new electrics in a new kitchen in Teffont, Wiltshire. Underwoods are specialists in all types of electrics, so please contact us today if you need new wiring for your home. Underwoods have recently installed a 13 amp double sockets & BT point to a computer cupboard for a home near Tisbury in Wiltshire. Underwoods do alot of work for many residential customers in Tisbury and all local surrounding areas of Wiltshire and Dorset. Please call us today if you need any electrical work done from our fully qualified electricians. Underwoods have recently attended a home in Saddle Lowcliffe, Warminster to install a new oil filled radiator. Undwerwoods Electrical cover all areas of Warminster and most of Wiltshire. Please contact us today for all your electrical needs. 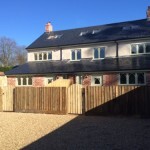 Underwoods Electrical have recently visited a home in Chicklade, Wiltshire to connect an underfloor heating system. If you need an electrician to repair or connect a new underfloor system, please contact Underwoods Electrical today. Our electricians have recently visited a home in Fonthill Bishop to investigate tripping problems. This resulted in tracing the fault to the outside lights and replacing various lamps. If your home is having any electrical problems, please contact Underwoods Electrical today. Our electricians have recently re-wired a new kitchen and central heating boiler system in Galhampton, Somerset. If you are in need of an electrician to re-wire your kitchen or need a fully new installation, please contact Underwoods Electrical today. Our electricians recently supplied and installed a new storage heater for a home in Tisbury. Underwoods Electrical Ltd specialise in all kinds of electrical services, so please contact us todat to see how we can help. 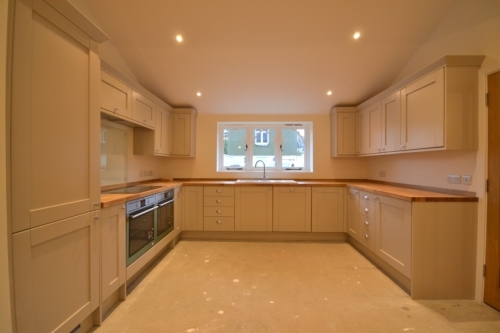 Our electricians have recently re-wired the electrics for a new kitchen in Tisbury, Wiltshire. If you have a new build, or are re-designing your kitchen and need to reinstall or replace any old electrics, please contact Underwoods today for a quotation. Our services also include installing TV & Satellite Equipment. If you’re looking for an electrician in the Chilmark area, please contact us today! Our electricians have recently installed several light fittings for a client at their home in Chilmark, Wiltshire. If you’re looking for an electrician in Wiltshire, please contact Underwoods Electrical Ltd today. Our senior electrician has recently completed a NICEIC periodic inspection for a home in Shaftesbury, and issued an Electrical Installation Condition Report. To update electrical installation per the recommendations of the report. Underwoods Electrical Ltd have recently issued a Electrical Installation Condition Report for a NICEIC periodic inspection for a home in Donhead St Andrew. Our electricians have recently rewired and installed new electrical fittings in a bathroom at a property in Sedgehill, Shaftesbury.